Miami DUI Attorney | Law Offices of Robert S. Reiff, P.A. DEFENSE ATTORNEY The Only DUI Lawyer Named a Top Lawyer in South Florida in that category in the 2019 South Florida Legal Guide. 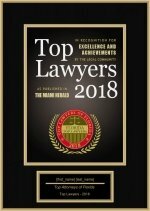 The Only DUI/DWI lawyer named by “Best Lawyers in Florida” for 2016 and 2018. Awarded DUI Defense Attorney of the Year 2019 in Florida by Lux Life Magazine – Business Legal Elite. 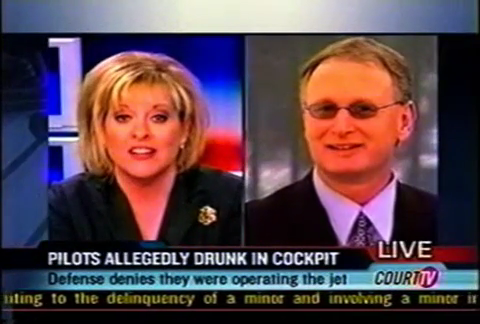 Robert S. Reiff, the author of "Florida DUI Law" (LexisNexis Publishing Company) and “Drunk Driving and Related Vehicular Offenses” , Fifth Edition (Lexis Law Publishing Company), is the founder of the Law Offices of Robert S. Reiff, P.A. Mr. Reiff has more than 30 years of experience representing clients accused of DUI, vehicular fatality, and other criminal offenses. He was the only DUI/DWI lawyer named by “Best Lawyers in Florida” for 2016 and 2018. He was also among just six attorneys selected as Super Lawyers for Florida in the Criminal Defense: DUI/DWI section for 2016. In an era when the presumption of innocence has been eroded by the summary suspension of driving privileges prior to the adjudication of guilt. Continually recognized since 2005, Mr. Reiff has been selected for inclusion in the 25th Edition of The Best Lawyers in America for 2019. Though Mr. Reiff brings his winning work ethic to every case, his expertise in the DUI field is nationally recognized; locally, he received the number one rating in an in-depth Miami Herald investigation of the most effective DUI advocates in South Florida in this ever-increasingly complex and enforced area of criminal law. He is the author of "Drunk Driving and Related Vehicular Offenses" (5th Edition) which is published by the LEXIS Law Publishing Company. It's really straightforward: You can hire a lawyer who will read his books, or you can hire the lawyer who wrote the books! If you have questions or if you would like more information, please request a consultation with Mr. Reiff at (305) 854-5511. With more than 30 years of DUI law and legal experience, Attorney Reiff’s insight is reflected consistently throughout the publication. There are detailed looks critical components of DUI laws and cases, as well as smart checklists to the case-building process an attorney might need to follow in any given DUI Annual updates to this practice guide are planned, ensuring that nothing Florida’s ever-changing legalities is missed or overlooked. Attorney Robert Reiff is well-known throughout the Florida legal world as the author “Drunk Driving and Related Vehicular Offenses” and its numerous editions. This book is considered the lawyers complete guide book to drunk driving defense. Robert is honored to have been named one of South Florida’s Best Lawyers for 2018 in the Criminal Defense: General Practice, as well as Criminal Defense: White Collar (Defense) categories. 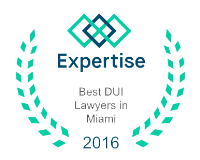 Perhaps more importantly, he was the only lawyer in South Florida named as one of the 2018 Best Lawyers® for the DUI/DWI Defense category. Individuals who have been arrested for drunk driving could only have up to 10 days to take action and challenge a driver’s license suspension. Failure to timely act will affect your ability to drive in Florida! By taking the first step in your case, Mr. Reiff can begin developing an aggressive, effective, and persuasive defense that can help reduce, acquit, or even dismiss the charges against you. Distinguished by an unparalleled level of legal knowledge, trial experience, and proven record of results, Mr. Reiff has been recognized as one of the few Board Certified Criminal Law Specialists in Florida and has been named one of the Best Lawyers® in Florida for DUI / DWI Defense. As a Board Certified Specialist and a passionate Florida DUI attorney who fights zealously for his clients' rights, Mr. Reiff treats each and every client as a top priority. He has been qualified as an "expert" by judges / courts in the area of DUI defense in Miami and Broward counties. This unwavering commitment to the success of his clients' DUI cases is solidified by the professional accomplishments and accolades he has received from the public and his peers.